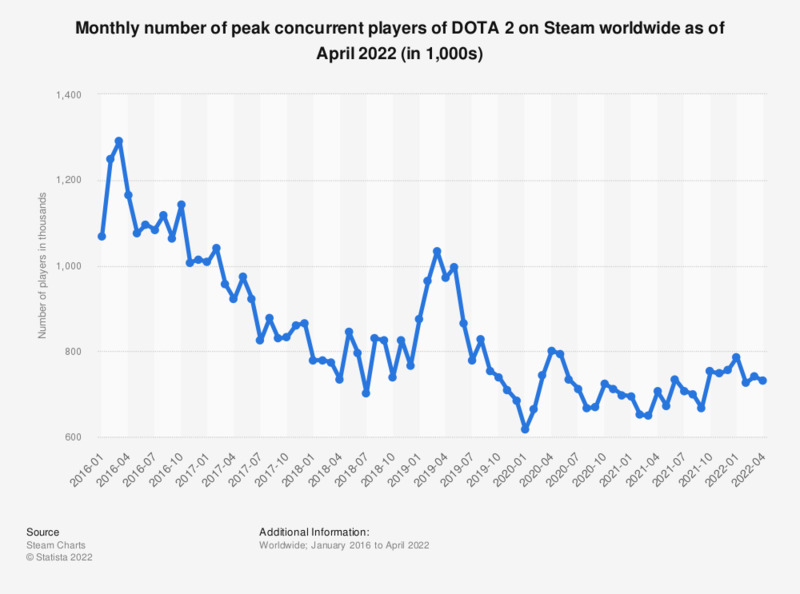 The statistic shows information on the monthly number of peak concurrent players of DOTA 2 on Steam worldwide as of February 2019. The game reached its record high peak concurrent player number in March 2016 at nearly 1.29 million gamers playing at the same time. In the last measured month, February 2019, the game peaked at almost one million concurrent players.